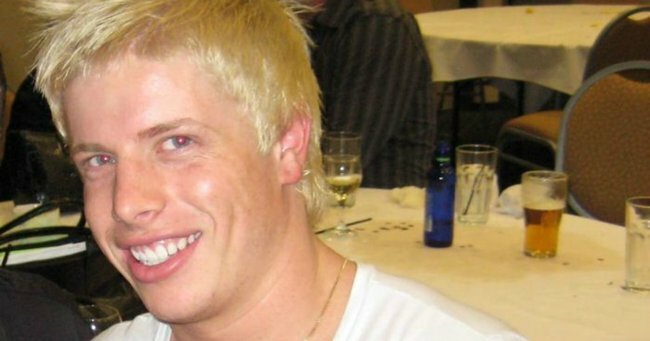 Parents and police reignite the search for NSW man Matthew Leveson. Matthew Leveson: Parents join police as they search Royal National park again. Around five months since last their last search, police have returned to the Royal National Park in Sydney to look for the body of missing man Matthew Leveson. Detectives are at the same roadside location they last searched following information received from Michael Atkins, Leveson’s boyfriend at the time of his disappearance almost a decade ago. Leveson’s parents, Mark and Faye Leveson, have been at the site with police since Monday. Leveson, 20, was last seen outside Sydney nightclub ARQ with Mr Atkins in September 2007. Mr Atkins was acquitted of murder by a jury in 2009 after a trial during which he exercised his right to silence. But Mr Atkins was compelled to give evidence at a coronial inquest into Mr Leveson’s disappearance. In November last year he led police to the roadside spot in the Royal National Park, which was then declared a crime scene. However, no trace of Leveson was found. Mr Atkins’ cooperation with police followed an unprecedented deal struck with the NSW Attorney-General giving him immunity from prosecution for perjury at the inquest in return for information leading to the recovery of Leveson’s body. The inquest is due to resume in August.